Sister and Brother Bear have activities every day after school, and Mama and Papa have their own interests, too. There isn't much time left over for homework, household chores, or just plain family fun. 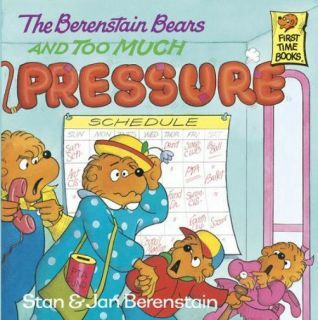 As the Bears' lives grow more hectic, pressure builds! Finally, the Bears take a realistic look at their responsibilities, talents, and the number of hours in the day and choose after-school activities with care.